I usually serve ham over the holidays, either Christmas or New Year. I was never a fan of the spiral cut honey baked ham that is so popular here in the US. I grew up in the Philippines eating the salty sweet style ham. One brand that comes to mind is Majestic ham which is favorite of my dad. He would always get a whole leg of ham which my mom would serve on Christmas day. 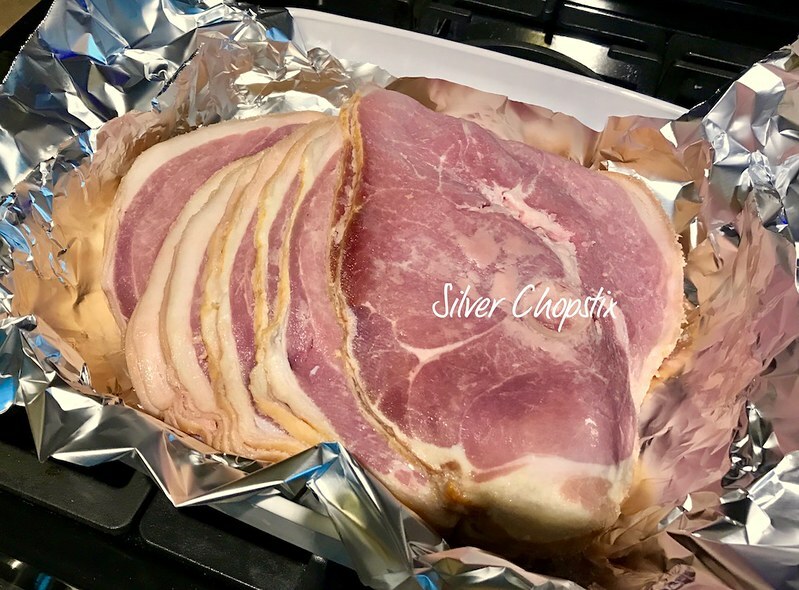 I discovered that I could recreate this ham from my childhood by using Country Ham. 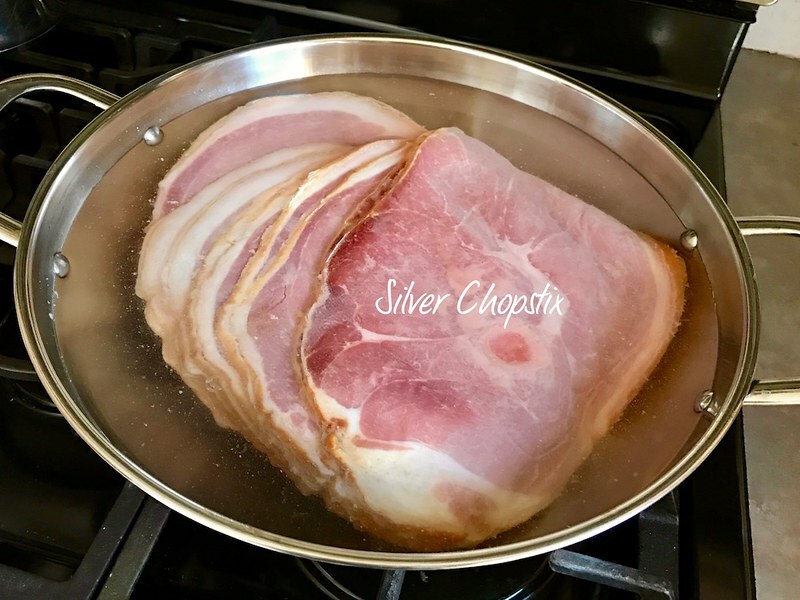 Country style ham is popular in the South specially in Virginia and Tennessee. Country hams are salt cured for 1-3 months then dry aged for either months to several years. They are not fully cooked when sold so it is important to follow the manufacturers cooking directions. 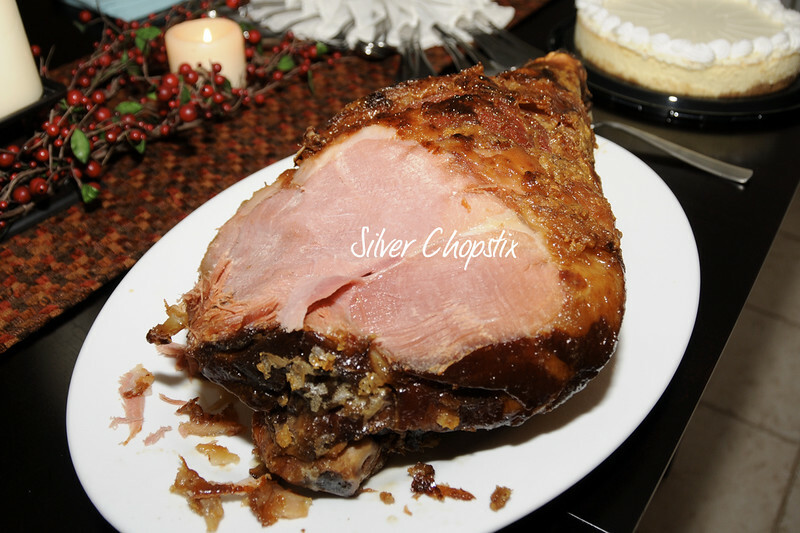 I made a glazed whole country ham (photo below) several years ago for a New Years eve party. The ham was more than enough to feed 10 people and we had a lot of leftovers. Buying a whole ham is too much for my family so I opted to get the sliced country ham this time. First, take the ham off it’s plastic wrap and place in a shallow pan. Add enough water to cover the ham and let this soak 8 hours to overnight to remove excess salt. 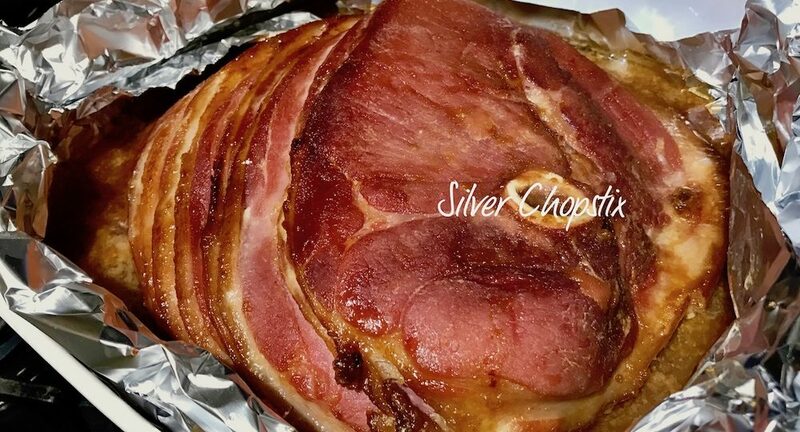 Then drain the ham and place in an roasting pan, make sure to cover or wrap it tightly with foil. Bake at a 300F oven for approximately 2.5 hours or until internal temperature reaches 160F. After 2 hours pour or brush ham with glaze made of 1 cup dark brown sugar, 2 tbsp. dijon mustard and 2 tbsp. apple cider vinegar. 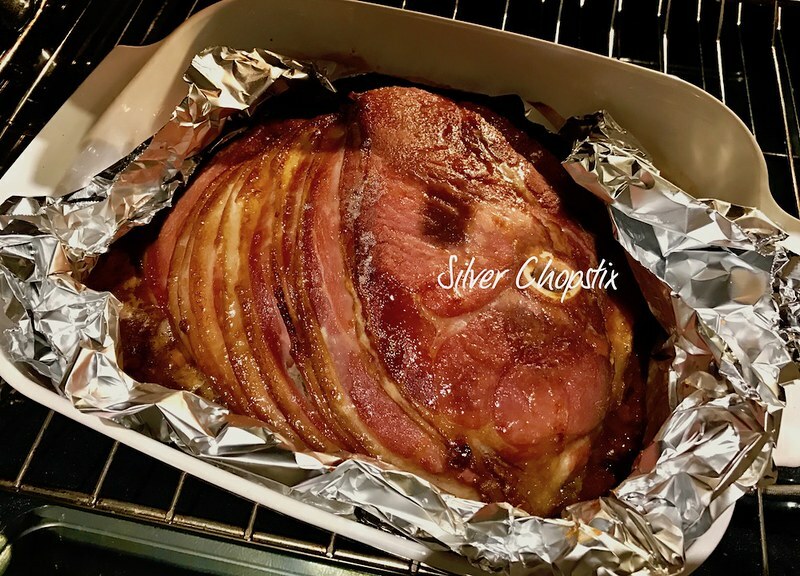 Continue cooking until glaze has caramelize and ham turns into a dark golden color. Make sure to slice thinly before serving.